I was recently emailed a question about the false sign of Revelation 12. She brought up an interesting theory/question. Here is the message I received. So she recognizes that the Rev 12 – 9/23 sign was competely false and sees this false paradigm surrounding the date and event. 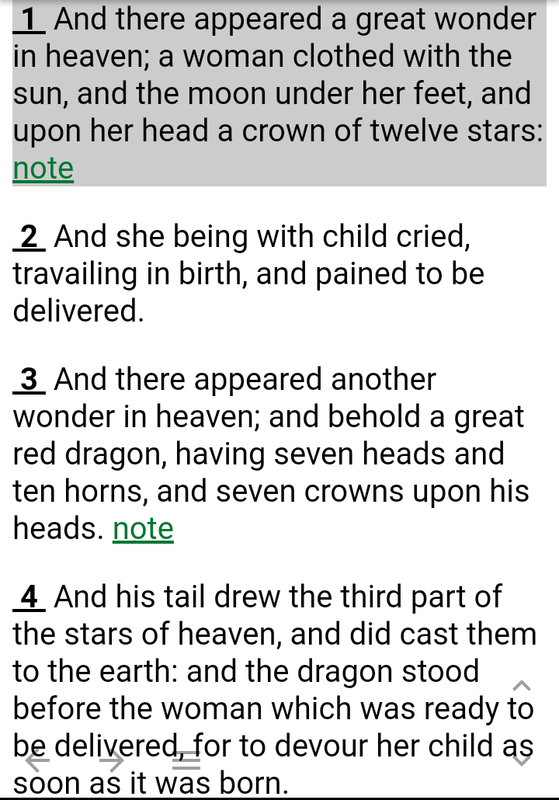 The theory and question that she proposes is this, that the third of the stars that the dragon “drew” with his tail that fell to the earth could have possibly been from the twelve from the crown on her head. Now let me say this first. I think that if it is the “third” of the stars that comes from the crown of twelve, symbolically that would mean 4 (a third) of the tribes of Israel. We know that this symbology of the crown of twelve stars represents the twelve tribes (Genesis 37:9-10 and then read Daniel 8:10) but Joseph makes mention of only 11 that bow down to him. Scholars assume he is the twelfth and that these stars are his brothers that represent the 12 tribes. This is a plausible theory in my opinion. So if the third that trailed the dragon is part of the crown of twelve in verse 1, then this would be referencing 4 of the tribes or 4 of the brothers. But if its to be about deception, then the third or four planets in this case, fit perfectly with what has been going on. So as far as her theory/question goes I’m not really looking at the true prophetic sign of what happened but want to look at the deception of this sign that makes people believe it was fulfilled on 9/23. I do know Dan was a tribe that sinned against God but I would need to research more to see if there were 3 others in the same predicament. And let me bring up Daniel 8:10 really fast. The stars getting “drawn” to the earth is referenced in this verse where it talks about the little horn or Antichrist carrying down some of the stars to earth and trampling them down. Is this paralleling Rev 12:4? 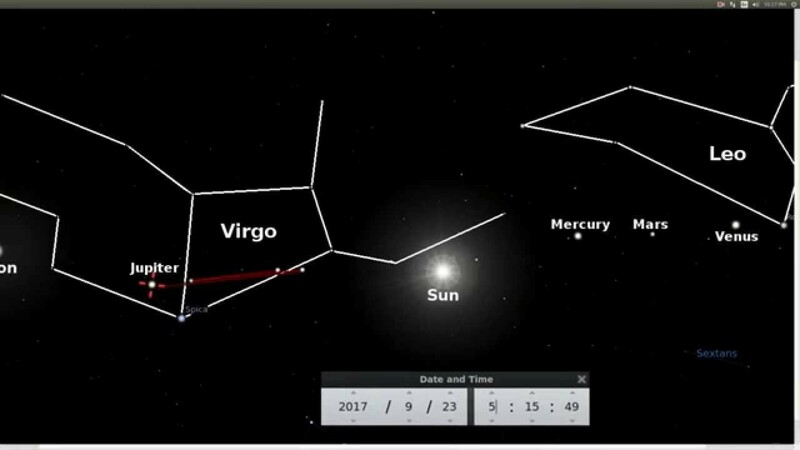 I do find this theory interesting but I do not think that this sign on 9/23 with the four wandering stars/planets (Jupiter, Mercury, Mars and Venus) were any part of this original sign that was about the birth of Jesus, as I just explained why. With that said I think this theory fits perfectly with what we have already seen with the 9/23 false sign. This is continuing the deception of Satan wanting people to believe that this was THE sign of Revelation 12. Those who honestly believed that this was true and actually still believe it to this day, believed that these four planets were actually part of this “real” sign. They weren’t. I think this third that “trailed” the dragon to earth in this case are the four planets in this false sign. It matches perfectly. Lets look at what these verses have to say. We had seen a few weeks ago where 2 nuetron stars collided in the tail of Hydra the sea serpent that formed gold. I thought this was interesting and it made me think of this verse in Rev 12. Is this connected to all of this? Read the paper here. “When these things collide, all hell breaks loose,”. Remember also Paddock’s neither who she mentioned that said it was like Mars fell to earth. Think about all of the Mars talk right now. If you have kept up with my papers than you know that Mercury, Mars, Venus as Jupiter are mentioned the most more than the other planets. This isn’t on purpose. They just happened to come up more in my articles than the others. I also mention Saturn and in ancient mythology, Saturn is Satan. And don’t forget that Saturn leaves Ophiuchus the restrainer on November 18th of 2017. 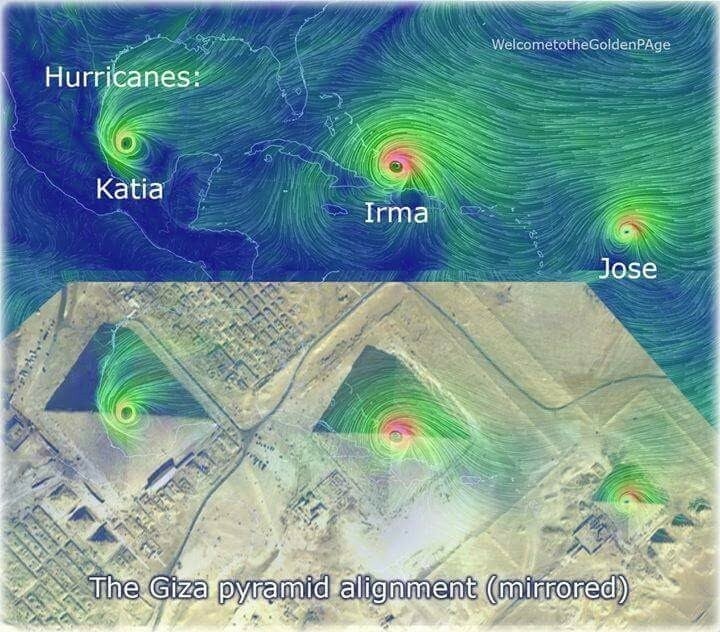 The one thing I do want to bring up is the the wandering stars in Leo at the time and how they lined up with the pyramids, orions belt and the three hurricanes in late August. Coincidence? I don’t think so. Read the paper here. I also want to revisit a paper I wrote at the beginning of the year. You cam read it all here. I connected Jupiter, Mars, Mercury and Saturn to the four horseman in Rev 6. Now what’s interesting is that some believe the fourth horseman may be Venus instead of Saturn. And the time I disagreed but after looking over everything again, there is a possibility. And in light of this 4 wandering stars theory it makes much more sense. You be the judge. Here is what I wrote. 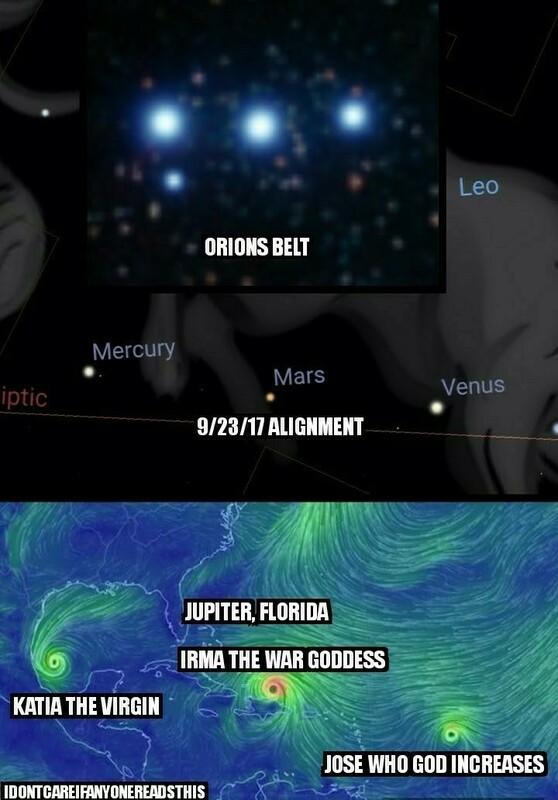 I will even go out on a limb and suggest that this broken pentagram in the United States involving the elements and their black magic involves these 4 wandering stars. Jupiter is air, Venus is water, Mars is fire and Mercury is earth. And they await the spirit/aether/void which would be their dead god Saturn. 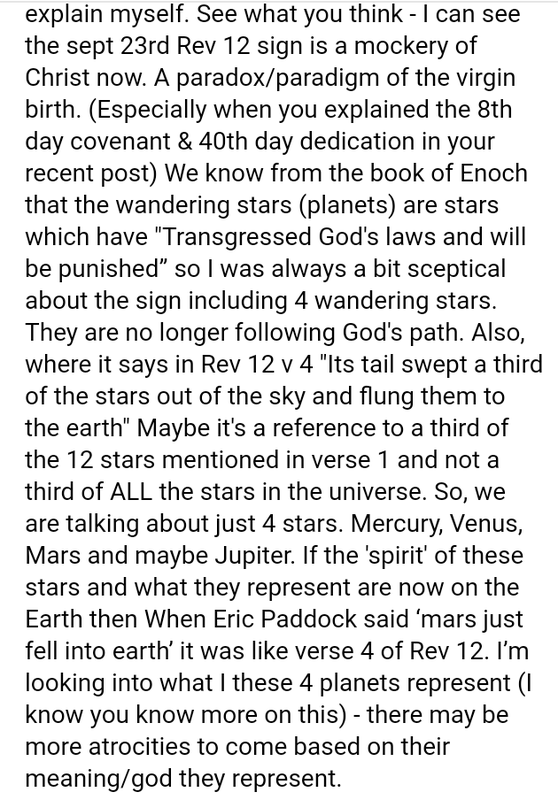 So yes, I believe that these 4 wandering planets/stars represented in this false sign are in fact part of this deception and very well could be this third that go with Satan voluntarily. And it looks like its all happening. Everything is falling into place for this great deception.